Elder Boyd K. Packer said, “Power comes when a teacher has done all that he can to prepare, not just the individual lesson, but in keeping his life in tune with the Spirit. If he will learn to rely on the Spirit for inspiration, he can go before his class … secure in the knowledge that he can teach with inspiration” (Teach Ye Diligently, rev. ed. , 358–59). The most important and fundamental part of a gospel teacher’s preparation is to prepare himself or herself spiritually. Some important considerations in such preparation are living the gospel, praying for help and guidance, exercising faith, and participating in inservice training. How faithfully teachers live the gospel influences every aspect of their teaching. No greater preparation can occur than that of living a life worthy of the guiding, enabling companionship of the Holy Ghost (see section 1.2, “Live” on page 2). Prayer is an integral part of preparing to teach (see D&C 42:14; 104:79, 82). A teacher can pray for the Spirit’s help in understanding the scriptures and gospel principles, for wisdom in deciding how to best teach those principles by the Spirit, for help and guidance before the beginning of each class, and for the students’ willingness to feel and be taught by the Spirit. Teachers can ask the Lord for the gift of discernment to better understand each student, for help to reach individual students who are struggling, and for the gift of charity to love those students who may be more difficult to love (see Moroni 7:48). The “teach” paragraph in the Objective of Seminaries and Institutes implies that an effective teacher should have confidence in the power of the word of God, faith in the Lord and the Holy Ghost, and trust in the students. When teachers are not successful, it is often because one of these elements is lacking. Confidence in the power of the word. Teachers may be tempted to believe that students will not like studying the scriptures, or that they cannot teach the scriptures day after day and maintain the students’ interest. Teachers should remember, however, that the scriptures contain “the words of life” (D&C 84:85) and that the word has a “more powerful effect” upon the mind “than the sword, or anything else” (Alma 31:5). Elder Henry B. Eyring said: “I beg of you, for yourselves and for the students, to have faith that they will want to read [the scriptures], not that you must drive them to it, but that it will draw them to it. … The Lord wrote the book. He showed Nephi how to do it in such a way that it would draw you. And, it will draw your students” (“The Book of Mormon Will Change Your Life” [CES symposium on the Book of Mormon, Aug. 17, 1990], 2). Faith in the Lord and in the Spirit. The responsibility to teach the principles of the gospel to the youth and young adults can feel challenging and overwhelming. But it is the Lord’s work: He will help those who turn to Him in faith. Mormon taught, “And Christ hath said: If ye will have faith in me ye shall have power to do whatsoever thing is expedient in me” (Moroni 7:33). Teachers should have faith that the Lord understands the needs of every student and wants to bless them. Teachers should believe that the Holy Ghost will carry the gospel message to each student and prompt application of gospel principles according to their needs and circumstances. A teacher should remember that it is “the Comforter which was sent forth to teach the truth” (D&C 50:14). “… You do not have to sneak up behind this spiritually experienced youth and whisper religion in his ears; you can come right out, face to face, and talk with him. You do not need to disguise religious truths with a cloak of worldly things; you can bring these truths to him openly” (The Charted Course of the Church in Education, rev. ed. , 3, 9). At times, students’ appearance, behavior, or response to gospel learning may seem to indicate that they are not “hungry for things of the Spirit.” It is especially important under these circumstances for teachers to exercise faith in President Clark’s teachings. 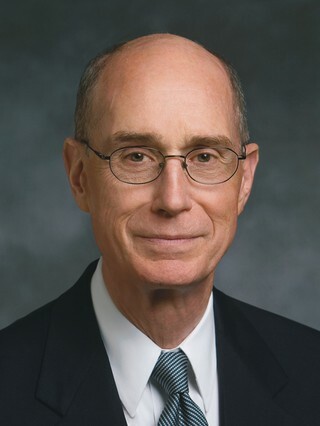 Elder Henry B. Eyring offered this reassuring promise: “Our students may not know that they are fainting from famine, but the words of God will slake a thirst they did not know they had, and the Holy Ghost will take it down into their hearts” (“We Must Raise Our Sights” [CES conference on the Book of Mormon, Aug. 14, 2001], 3). Promote a deepened understanding of and love for the word of God? Invite the Holy Ghost and lead to edification? Encourage each student to personally learn and live the gospel in faith? Help my students to better know, love, and follow Jesus Christ? Seminaries and institutes provides inservice training opportunities for all of its teachers and leaders. Inservice training is primarily intended to improve teaching, increase gospel knowledge, and help teachers learn how to administer in seminaries and institutes. One facet of this training is formal inservice meetings. Inservice training meetings are held on a regular basis, and teachers and leaders are expected to attend. During these meetings, participants study and discuss the scriptures to deepen their understanding. They learn and practice inspiring methods of teaching. They also share ideas for increasing student enrollment, attendance, and completion; counsel together about current needs; and learn how to fulfill administrative responsibilities. Another facet of inservice training involves classroom visits and observations. Teachers can benefit greatly from inviting a coordinator, principal, or fellow teacher to observe their teaching and give helpful feedback. Often an observer can be asked to give specific feedback on a particular teaching skill a teacher is striving to develop. Where opportunity exists, a teacher may also benefit from observing other teachers. Those who approach inservice training in faith and with a sincere desire to learn and improve will experience steady growth and development. The scriptures speak of a state of preparation or readiness in the hearts and minds of those seeking spiritual learning. For example, Ezra, a priest and scribe in the Old Testament, “prepared his heart to seek the law of the Lord, and to do it” (Ezra 7:10). The book of Acts describes faithful Saints who “received the word with all readiness of mind” (Acts 17:11). During His visit to the people of Nephi, the Savior encouraged them: “Prepare your minds for the morrow, and I come unto you again” (3 Nephi 17:3). Pray for students. Teachers can plead for the Lord to pour out His Spirit upon their students “to prepare their hearts to receive the word … with joy” (Alma 16:16–17). Foster a climate of love and respect. Students who feel loved, trusted, and valued by their teacher and the other students will come to class more open to the influence of the Spirit and with a stronger desire to participate. Establish a sense of purpose. Teachers should help students understand that they are attending class to come to know Heavenly Father and His Son, Jesus Christ, and progress toward eternal life through a study of His gospel as found in the scriptures and the words of the prophets. Present interesting, relevant, and edifying lessons. When teachers prepare and present edifying lessons on a consistent basis, students develop an expectation that they will learn something of value each time they attend class. Elder Boyd K. Packer taught: “If you are teaching a class … , [students] will not return with any enthusiasm unless they are being taught something. They must learn something to want to return. They will come willingly, even eagerly, to a class … in which they are fed” (Teach Ye Diligently, 182). Invite the Holy Ghost at the beginning of class. Often a well-prepared, student-led devotional that includes a prayer, the singing of a hymn, and a thought from the scriptures invites the Spirit, unites the students, and prepares their minds and hearts for spiritual learning. Capture and maintain the students’ interest. Teachers can help focus the students’ minds on the learning experience by beginning each lesson in a way that captures the students’ attention and leads them to search the scriptures with greater purpose. For example, a teacher could have an intriguing question written on the board or display an object or picture that triggers student interest as they come to class. Because many students have a limited attention span, the wise teacher looks for ways to rekindle their interest and enthusiasm several times during the class. This should be done in a way that focuses the students’ attention on the scriptures to be studied. Prepare students to be successful learners. Before inviting students to participate, teachers should clearly explain what will be asked of them, provide an example, give students time to prepare and practice, and then give encouragement and recognize students’ efforts to fulfill their role in the learning process. Teachers who prepare students to fulfill their role as learners will find much greater success in fulfilling the Objective of Seminaries and Institutes. All four of the seminary courses and most of the approved institute courses consist of a study of the standard works. The primary source for determining what to teach in these courses is the scriptures themselves. In an address to seminary and institute teachers, President Ezra Taft Benson taught, “Always remember, there is no satisfactory substitute for the scriptures and the words of the living prophets. These should be your original sources” (“The Gospel Teacher and His Message” [address to CES religious educators, Sept. 17, 1976], 3). Some institute courses focus on gospel topics rather than on a study of the standard works. Teachers of these courses should consider the material suggested in the institute curriculum (as well as the scriptures) as their primary sources for preparation. Teachers should consistently look for opportunities to use the scriptures and words of the prophets to clarify and illustrate the doctrines and principles taught in these courses. Seminary and institute curriculum materials have been provided as the main resource to help teachers prepare and teach effective lessons. The curriculum provides background information about the scriptures and their context, explanations of difficult words and phrases, General Authority comments on the doctrines and principles taught in the scriptures, and suggestions for what content, doctrines, and principles to teach. It also suggests ideas for how to teach. As teachers use the curriculum in tandem with their study of the scripture block, the Holy Ghost can inspire them as they personalize the lesson for the needs of their students. “Sticking with the content of the curriculum as well as its sequence will unlock our unique teaching gifts, not stifle them” (“The Lord Will Multiply the Harvest” [an evening with Elder Henry B. Eyring, Feb. 6, 1998], 4–5). Teachers may use additional resources such as Church magazines, especially teachings from general conference, as they contribute to a clearer understanding of the scripture block. Other resources should not be used to speculate, sensationalize, or teach ideas that have not been clearly established by the Church. Even if something has been verified or published before, it still may not be appropriate for use in the classroom. Lessons should build students’ faith and testimony. 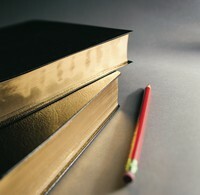 When preparing a lesson, every teacher must decide: “What will I teach?” and “How will I teach it?” What to teach consists of the context (including background, culture, and setting), content (such as story line, people, events, sermons, and inspired explanations), and important gospel truths that exist within the scripture block. How to teach consists of the methods, approaches, and activities a teacher uses to help students learn (such as class discussion, audiovisual resources, writing exercises, and small group work). Deciding what to teach needs to precede choosing how to teach so that the primary focus remains on the scriptures, rather than on methods or techniques. During lesson preparation, teachers should give sufficient time and effort in deciding both what to teach and how to teach. If what to teach gets almost all of the emphasis during lesson preparation, a teacher will not have sufficient time to consider how to help students participate in learning. Often this will result in lessons that are boring and too teacher-centered. When a teacher focuses too heavily on how to teach, lessons can become disjointed, lacking purpose and power. There are four fundamental stages teachers go through as they prepare what they will teach: First, they seek to understand the context and content of the scripture block. Second, they identify and understand the doctrines and principles found in the block. Third, they decide which principles are most important for their students to learn and apply, and fourth, they decide what level of emphasis to give each segment of the scripture block. 1. Understand the context and content of the scripture block being taught. Teachers should seek to understand the context, or background, of the scripture block and to immerse themselves in that block of scripture until the content becomes familiar. To immerse oneself in the scriptures means to read, study, ponder, and pray for inspiration and understanding about what one reads. One of the most helpful things a teacher can do to understand the scriptural content is to note natural breaks in the scripture block where a change in topic or action occurs. Using the curriculum and their own insights, teachers can then divide the scripture block into smaller segments or groups of verses based on these natural breaks. These smaller segments will become important building blocks or components that teachers will use later in their preparation to organize the flow of their lesson and to enable them to give at least some attention to all of the content within a scripture block. While outlining the scripture block in this way, teachers should also seek to develop their understanding of the people, places, events, and cause-and-effect relationships that seem important, as well as the meaning of difficult words or phrases. Obtaining sufficient understanding of the content often requires reading the scripture block more than once. 2. Identify and understand doctrines and principles. Along with understanding the context and content, teachers should carefully identify and understand the doctrines and principles in the scripture block and review those suggested in the curriculum. Unless the curriculum has already done so, a teacher should make the effort to write out the doctrines and principles in clear, succinct statements. Doing so helps crystallize both the principles and their meanings in the teacher’s mind. This will also help guide the learning activities during the class and allow for increased understanding and more focused application by the students. 3. Decide which principles and doctrines are most important for students to learn and apply. In a normal scripture block there will almost always be more material than can be meaningfully discussed in a class period. Once teachers have studied the scriptures and the curriculum, they need to decide which doctrines and principles are the most important for their students to understand and apply. In making this decision, teachers should consider the following. Promptings of the Holy Ghost. In deciding what principles and doctrines to emphasize in the lesson, teachers should continually seek direction from the Holy Ghost. The intent of the inspired author. Teachers should seek to determine what the prophetic writer desired to communicate. President Ezra Taft Benson said: “If they [the writers] saw our day, and chose those things which would be of greatest worth to us, is not that how we should study the Book of Mormon? We should constantly ask ourselves, ‘Why did the Lord inspire Mormon (or Moroni or Alma) to include that in his record? What lesson can I learn from that to help me live in this day and age?’” (“The Book of Mormon—Keystone of Our Religion,” Ensign, Nov. 1986, 6). Teachers should consider similar questions during their lesson preparation for any of the scripture courses they teach. As teachers seek to determine the intent of the inspired writer, they should be careful not to go beyond what is evident in the text. Elder Henry B. Eyring cautioned, “I must not pretend that I know all that the writers meant, or what they did not mean” (“‘And Thus We See:’ Helping a Student in a Moment of Doubt” [an evening with Elder Henry B. Eyring, Feb. 5, 1993], 6). Converting principles and the Basic Doctrines. 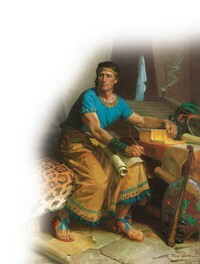 When determining what to teach, a teacher should consider, “Of all the truths that could be emphasized in this block of scripture, which will help my students to draw closer to Heavenly Father and the Savior and lead to salvation?” Elder Henry B. Eyring counseled: “As you prepare a lesson, look in it for converting principles. … A converting principle is one that leads to obedience to the will of God” (“Converting Principles” [remarks at an evening with Elder L. Tom Perry, Feb. 2, 1996], 1). “There are two views of the gospel—both true. They make a terrific difference in the power of your teaching. One view is that the gospel is all truth. It is. The gospel is truth. With that view I could teach pretty well anything true in a classroom, and I would be teaching the gospel. The other view is that the gospel is the principles, commandments, and ordinances which, if kept, conformed with, and accepted, will lead to eternal life. This is also true. Teachers should also determine if the scripture block they are covering teaches any of the Basic Doctrines that S&I has chosen to emphasize. These doctrines provide students with an understanding of Heavenly Father’s plan and the fundamental beliefs of the Church (see section 2.7.2, “Basic Doctrines,” on page 35). The needs and abilities of students. The better a teacher knows and understands his or her students, the easier it will be to identify and emphasize relevant principles that can be readily applied. As teachers study a scripture block, they may find ideas or concepts that are personally exciting or of particular personal significance, but these may be beyond the spiritual readiness and understanding of the students (see, for example, Paul’s meat and milk counsel in 1 Corinthians 3:2). Some principles that are not new or interesting to teachers may be of great importance to the students. Teachers need to remember that they are teaching students, not just lessons. They are creating a learning experience and not merely preparing lesson outlines. The curriculum can be especially helpful to teachers when determining which principles and doctrines may be most relevant to the students. Elder Richard G. Scott taught: “Determine, according to the individual capabilities and needs of your students, what is of highest priority. 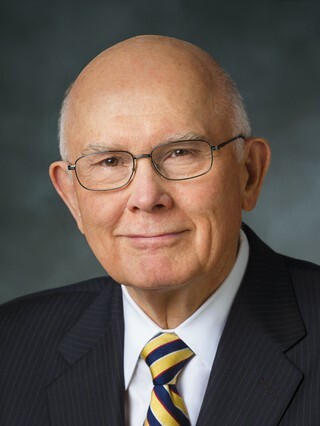 If a key principle is understood, internalized, and made part of the students’ guidebooks for life, then the most important objective has been accomplished” (“To Understand and Live Truth” [an evening with Elder Richard G. Scott, Feb. 4, 2005], 2–3). While deciding what truths to emphasize, a teacher might also plan to briefly point out a principle or doctrine they are not planning to focus on when progressing through the scripture block. This can provide the Holy Ghost with an opportunity to personalize a principle that, although not a major focus of a lesson, may be important for an individual student. Teachers should also keep in mind that students may discover and wish to discuss some gospel truths that the teacher had not noticed or planned to discuss. In all of these considerations, teachers should seek confirmation from the Spirit. The Spirit will help them better understand the intent of the inspired scripture writer, the needs of the students, and which gospel truths will help students draw nearer to their Heavenly Father and the Savior. 4. Decide what level of emphasis to give each segment of the scripture block. With an understanding of the context and content of the scripture block, having divided it into smaller, content-related segments, and having identified important gospel truths for students to learn and apply, teachers are now prepared to decide what level of emphasis to give each segment of the scripture block. Generally, those segments that contain the doctrines and principles a teacher seeks to highlight in the lesson will receive the most emphasis. This means that for these groups of verses, teachers will lead students to understand their context and content, to identify and understand the important doctrines and principles found in them, to feel the truth and importance of those doctrines and principles in their hearts, and to help them see how they can apply those truths in their lives. Other segments of the scripture block may focus less on the truths emphasized in the lesson, but they should not be skipped or ignored. Teachers should plan to at least summarize these groups of verses as well. It is common for teachers to become excited about the scripture block they will be teaching and the truths they have discovered. Through diligent effort to study, understand, and be taught by the Spirit, teachers are edified and naturally feel a desire to communicate what they learned during their preparation. While this may be appropriate, it should be remembered that the purpose of any lesson is for students to understand the scriptures, be taught by the Holy Ghost, and feel encouraged to apply what they learn. This almost always requires more than teachers telling students what they themselves have learned from the scriptures and why they feel it is important. It also involves more than a teacher reading a verse, commenting on it, then reading another verse. Students are edified when they are led through a learning process that is similar to what the teacher has experienced during lesson preparation. Students should be led to search the scriptures for understanding and to discover the truths of the gospel for themselves. They should be given opportunities to explain the gospel in their own words and to share and testify of what they know and feel. This helps to bring the gospel from their heads down into their hearts. As students consistently experience learning the gospel in this way, they gain confidence in their ability to study the scriptures for themselves and learn by the Spirit. They feel a desire to apply what they are learning in their lives. They are also better prepared to explain what they believe to others and to bear testimony of the doctrines and principles of the gospel. What methods or learning activities will help my students understand the context and content they need to know? What methods will help students be able to identify and verbalize the key doctrines and principles and give them opportunity to discover others? What will be the best way to help my students understand these principles and doctrines? What methods or approaches will lead my students to feel the truth and importance of these principles and invite them to share and testify of them? What will be an effective way to help them see how they can apply these principles in their lives and encourage them to do so? Following are some considerations in deciding how to teach. Ensure that teaching methods are in harmony with the message being taught and conducive to the influence of the Spirit. Sometimes, in an attempt to entertain students or hold their interest, teachers choose methods or use techniques that do not lead to understanding and edification. When selecting methods, teachers should consider if the method enhances or detracts from the message it is intended to help students internalize. For example, an instructional game might be an enjoyable and effective way to teach information (such as the order of the books in the Bible), but will almost certainly be counterproductive if the end goal is to invite a spiritual feeling. Working in small groups can be effective, but since it takes considerable time, it may not be the best method for identifying a simple stated principle. The teacher should ensure that teaching methods and activities are appropriate for a gospel learning setting, will not offend or hurt anyone, and will be conducive to the Spirit’s influence. Use the curriculum. The seminary and institute curriculum offers suggestions of how to teach that implement the Fundamentals of Gospel Teaching and Learning. As teachers prepare each lesson, they should carefully review the curriculum and select which information and methods they will use to teach the scripture block. Teachers may choose to use all or part of the curriculum suggestions for a scripture block or adapt the suggested ideas to the needs and circumstances of their class. Establish relevancy and purpose. When students see the relevance of what they are studying in the scripture block to their own situations and circumstances, they are generally more motivated to learn and apply gospel teachings. They are also able to see how the scriptures provide answers and direction that can guide them in real-life situations. Therefore, when preparing how to teach, teachers would be wise to reflect on the eternal truths contained in the scripture block and to consider how they may be useful and meaningful in the lives of the students. With this in mind, teachers will often begin the lesson with a relevant question, situation, or problem that will lead the students to search the scriptures for gospel principles and doctrines that give them guidance and direction. As they prepare lessons, teachers should also plan ways to maintain interest and continually engage students in the learning process. Determine pacing. Teachers should make diligent effort to cover the entire scripture block. However, in determining how much time to spend on various parts of the lesson, it is important for teachers to remember that they are teaching students, not lessons. Teachers should not be so focused on rigidly following the lesson plan that they do not allow for the possibility of inspiration or unplanned student participation during the class that may make it necessary to modify the lesson. One of the most common mistakes teachers make is taking too much time on the first part of the lesson and then having to rush through the last part. As teachers prepare, they need to estimate how much time it will take to cover each section of the lesson using the methods they have chosen. Because a teacher will almost always have more to teach than there is time to teach it, they will need to determine which portions of the block to emphasize and what to summarize. The need for pacing applies to the full course as well as to individual lessons. For example, in a New Testament course, if teachers spend too much time in the four Gospels, they will not be able to adequately cover the important gospel truths found in the later books. Most seminary and institute curriculum offers pacing suggestions and a schedule for covering the entire course. Use a variety of methods and approaches. Even a persuasive teaching technique may become ineffective or boring if overused. While teachers should not select methods for the sake of variety alone, many effective teachers vary the ways they teach during each lesson and also from day to day. Teachers should be prepared to change methods during the lesson if the students have lost interest or if what they are doing does not seem to be helping the students reach the desired outcomes. Using a variety of teaching methods can also help reach students who learn in different ways. Teaching methods or learning activities that require students to use a variety of senses, such as seeing, hearing, and touching can help improve the students’ participation and their recollection of what is taught. While teachers should generally select methods they feel comfortable and competent using, they should be willing to experiment with new methods or approaches that can make them even more effective. The next section of this handbook discusses a variety of teaching methods and approaches that teachers can consider when deciding how to teach.